Whether loss prevention, intellectual property or background research, we will serve you with a first class investigation that creates wins for your company. Every business faces situations where intelligence is needed to make good decisions about internal matters or decisions relating to competition. You need a partner with experience to get the job done and deliver the product you need to help you win a possible court battle. Let us at Ouachita Investigative Services utilize our experience to solve your business dilemmas. 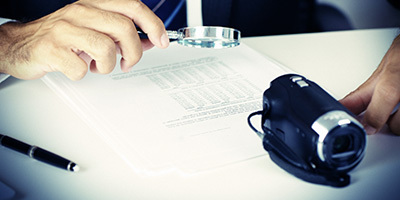 No matter your investigative needs, we are here to assist you and your company. Often times we are hired by clients that suffer from employee theft. They contact us in search of assistance to help them gather the appropriate legal evidence to win a possible court battle with their employee. Evidence needs to be obtained through legal methods. It is very easy for an attorney to have the evidence collected by a company to be dismissed in a court. Additionally, the evidence collected can sometimes work against a company that obtained the information via illegal methods.